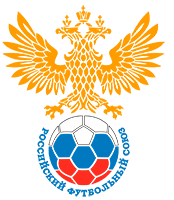 To your attention are the results of the games of the Junior Super League U-16 in Mytishchi. The head coach of junior youths of Gazprom-Ugra, Sergey Luchina, is about a draw against Norilsk Nickel (1-1) in the 3rd round of the Junior Super League. – We knew that the tour will not be easy. They did not see rivals before him, but they heard from other coaches that there would be no weak opponents, all teams are equal. In general, in this tournament among all ten clubs one cannot be called weak. Preparing for the tour, foresaw that it will be heavy. We aimed, of course, to solve the problem of getting into the top four, but now we will wait for the results of the group that plays in Tyumen. Now, not everything depends on us.